See David Meade Live This Summer! 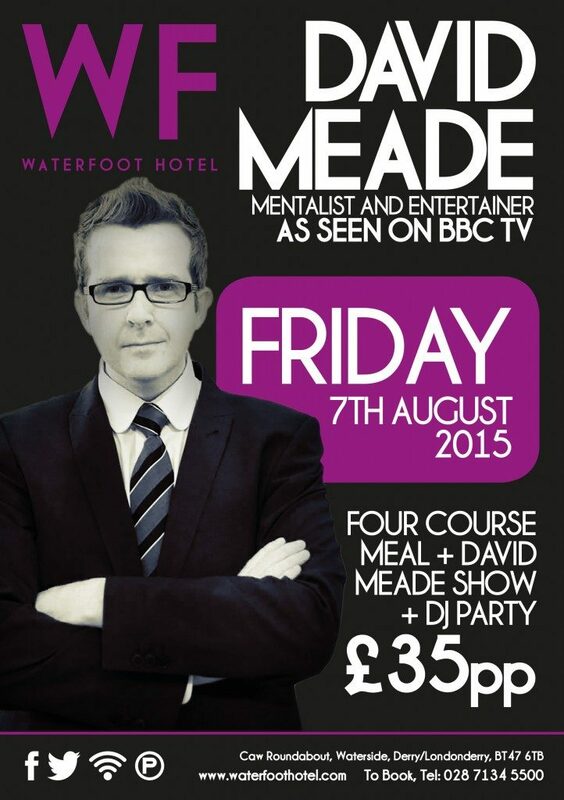 Enjoy an evening with ‘Mentalist’ David Meade at Waterfoot Hotel!! Do you think you have what it take to outsmart this mentalist?? Tickets are priced at £35.00 and include; a delicious 4 course dinner, David Meade’s show followed by a DJ who will play late into the evening! To book your tickets call; 028 7134 5500 now!